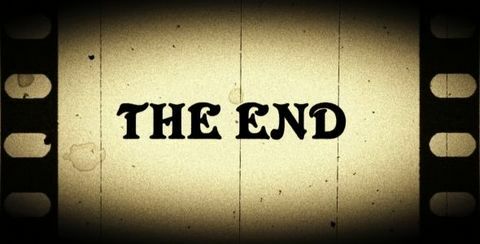 This is a short slide show on the digestive system. 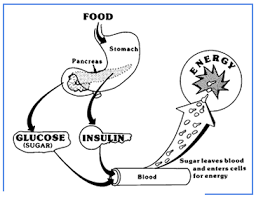 The digestive system is a system in the human body that digests food into energy.The pathway that the food takes is called the digestive tract (GI tract). There are many organs that make up the GI tract but that will be shown in the next slide. There are 2 types of digestion mechanical (food is torn into smaller pieces) and chemical (complex substances are broken down into simpler chemicals). What makes up the GI tract? The mouth is where the food is torn into smaller pieces of food (mechanical digestion) that can be swallowed. The saliva turns starch into sugar (chemical digestion). 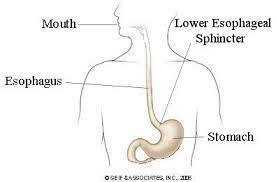 The food is then rolled into a ball called the bolus and enters the oesophagus. It goes down into the stomach. 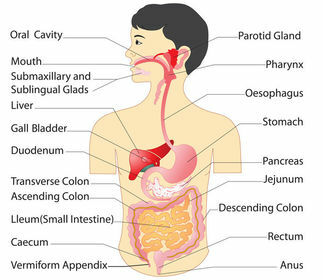 The organ in which the major part of the digestion of food occurs. 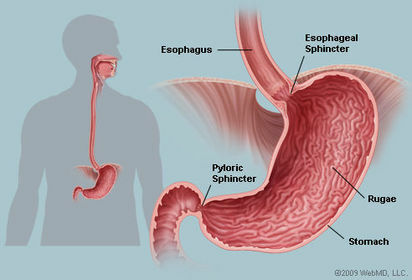 The food enters the stomach through the oesophagus into the stomach where the food is churned and mixed with digestive juices. 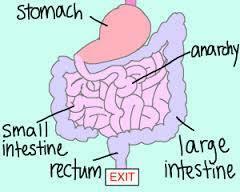 ﻿The small intestine is where the mashed up food from the stomach goes. This is where most of the nutrients are absorbed and spread to cells in the body. The large intestineextracts nutrients and water from the food that has not been digested and takes out any left over waste. 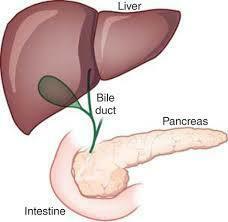 ﻿The liver an pancreas are not part of the GI tract but produce chemicals that help with digestion, such as bile (from liver) and pancreatic juice (from pancreas).The liver does more than 500 chemical processes.